According to a recent report by eMarketer, online shoppers are expected to spend nearly $8 billion more this holiday season than they did last year. 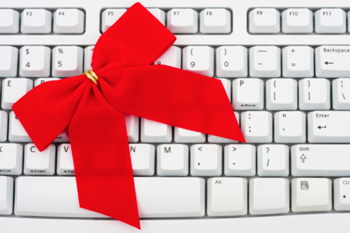 That’s good news for online merchants, and something that can help with your holiday planning. As we’ve discussed, for online sellers, sales forecasting is an important step in getting ready for the holidays. There are a variety of steps involved, including analyzing holiday sales figures for individual products sold last year, comparing sales so far this year with the same period last year, as well as looking at trends and projections, such as this one from eMarketer, which projects online holiday spending to be up 16.8% over last year. Gathering this data will help eCommerce sellers to stock up on an appropriate amount of inventory, and prepare their suppliers and order fulfillment centers well in advance. One other thing to consider is your planned marketing efforts and promotions for this holiday season. Last year, according to comScore, one in five online holiday shoppers made a purchase via a “daily deal” website, such as Groupon or LivingSocial. While these sites will take their cut, making your margins slimmer, they’re worth considering given their popularity and the potential for additional brand exposure. If you can afford to offer deals on popular products, that’s great, but if not, or you don’t feel the need to, another option is to offer deals on slower-moving merchandise. Online shoppers are notorious for seeking out the best shipping deals, so as we approach the holiday season, also think hard about what type of offer you want to make when it comes to shipping. According to a comScore study put out earlier this year, online consumers generally expect free shipping on orders over $50. When orders are under $50, consumers tend to favor flat-rate shipping. These types of minimum thresholds can help, but online merchants may still find themselves taking a hit on order fulfillment and shipping costs. The good news is that over 80% of consumers are willing to wait at least 4-7 days to receive their packages, according to comScore. What this means for merchants is that a free or flat-rate shipping offer can become more viable by offering a lower cost shipping method to your customers. One option is to use a hybrid service, such as FedEx SmartPost, as part of which the U.S. Postal Service handles the last mile of delivery. This type of service can be cheaper, but delivery times can also be longer, so it’s important to set the right expectations with your customers when it comes to order fulfillment and delivery dates. eMarketer expects nearly 17% growth in online holiday spending this year, and most analysts agree that it will be as good or better than last year. Let’s hope that’s the case!